Wrapping up the predictions for the mainstream fields is Country. This field contain four categories: solo performance, group or duo, and the regular songwriters’ and album awards. Bluegrass, folk, and Americana artists no longer compete here as they know have their own field: “American roots”. The result is a group of nominees that are strictly country, though some of them do have pop, rock, or blues influences. 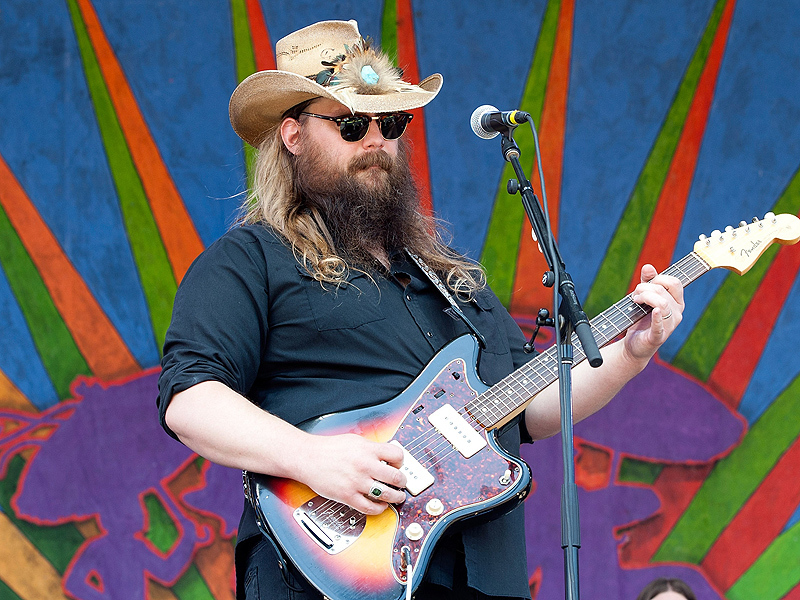 Chris Stapleton dominates the field with three nods. Ashley Monroe and Little Big Town are in twice. The rest of the nominees only appear once. Album of the Year (AOTY)-nominee Chris Stapleton surprisingly swept the Country Music Association Awards (CMA) last November and is currently up for four awards at the Academy of Country Music Awards (ACM). Everybody in Nashville is crazy about him and contrary to what many people think, he is not a new artist. Stapleton is like “the Sia of country” having written songs for Luke Bryan, Tim McGraw and Patty Loveless, to name a few. But competing against him is 7-time winner Carrie Underwood with the hit “Little Toy Guns”. In this four year-old category, Underwood has won twice but this could be the first time she’s beaten here. Emerging artist Cam has been acclaimed for “Burning House” but she might be considered too pop for a win. Keith Urban was a regular in the Male Country Performance category and won four times but hasn’t got anything since his last award in 2011. LeeAnn Womack had been a constant nominee but her first and so far only award came from a collaboration with Willie Nelson in 2003. Unlike in its pop counterpart where collaborations have prevailed, all the winners of this category had been groups and that does not seem to be changing this year. The front-runners are Little Big Town. This trio already won this category in 2014 for their smash hit “Pontoon”. “Girl Crush” was one of the best-selling country singles of the year and is also in the running for Song of the Year (SOTY). Despite this, there could be a different outcome. Academy members may give the award to the husband/wife duo Joey + Rory because of all the struggle they’ve been going to this last year due to Joey’s terminal cancer. They also had one of the most acclaimed country albums of the year. Furthermore, if a collaboration wins it will be “Lonely Tonight” by Blake Shelton and Ashley Monroe. This song was also a big country hit and was nominated for “Musical/Vocal Event of the Year” at the CMAs and ACMs last year losing both. Shelton had been nominated every year since 2011 but is yet to win. This is Monroe’s first appearance in the awards. The other two nominees have very slim chances. Dierks Bentley had been in the GRAMMYs radar for years without luck. Brothers Osborne received major airplay in country stations but they are still too new and this is their first nomination. The absolute winner here has to be “Girl Crush”. Basically being nominated for SOTY guarantees a win here. And not only that, songwriters Hilary Lindsey and Liz Rose are the only former winners competing this year. Lindsey won for “Jesus, Take the Wheel” in 2007 which was also up for SOTY. Rose won for co-writing Taylor Swift’s “White Horse” in 2010. “Girl Crush” also won the CMA for Song of the Year. The only other song that could upset is “Traveller” if Chris Stapleton gets enough support and ends up sweeping the country field. Brandy Clark (“Hold My Hand”) and Luke Laird (for Tim McGrawn’s “Diamond Rings and Old Barstools) are nominated in this category for the third year in a row with no luck. Hayes Carll, the writer for LeeAnn Womack’s “Chances Are” is a first-time Grammy nominee. Womack’s songs are quite common in this category but her last win dates back to 2001 for the unforgettable hit “I Hope You Dance”. Stapleton may lose Best Country Song and his chances at solo performance are not the greatest but Country Album is a shoo-in, mainly because it is nominated for AOTY. The only two Country/AOTY-nods that failed to win this category were Shania Twain’s Come On Over and Taylor Swift’s Red and both of them lose because they were not country enough, they had pop songs. Voters in this field are very protective of the traditional country sounds and Stapleton’s Traveller is a very traditional, old-school country album. Kacey Musgraves is the only former winner (and nominee) in Country Album. She won two years ago for her debut LP and though Pageant Material is also among the best albums of the year, it is nearly impossible she could beat Stapleton. And if she does, she’ll become the artist who managed to beat two AOTY-nominees in the country field. Sam Hunt is ranked last because of the reasons mentioned above. This new style of country music (bro-country) that blends rock and hip-hop hadn’t fit well among the more conservative voters, and that is the reason why bigger stars like Florida Georgia Line or Luke Bryan are still GRAMMY-less. Hunt’s nomination for his debut album Montevallo was actually very surprising. What do you think? Who are going to be the winners in the country field? Submissions for #PanAmericanSong 2018 are now open!